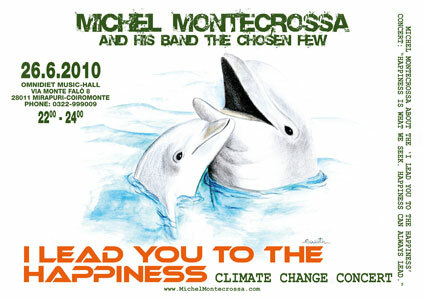 Michel Montecrossa and his band The Chosen Few will play on 26.06.2010 the ‘I Lead You To The Happiness’ Climate Change Concert at the Omnidiet Music Hall. Konzert-News!!! Am 26.06.2010 wird Michel Montecrossa and his band The Chosen Few mit dem ‘I Lead You To The Happiness‘ Climate Change Concert in der Omnidiet Music Hall auftreten . Das Konzert wird von 22:00 – 24:00 Uhr gehen. here’s Michel Montecrossa‘s ‘Sinus – I Like To Dance With My Broom’ – a partly animated shortmovie for kids featuring Michel Montecrossa’s character ‘Sinus’. Enjoy!!! Video-News: jetzt online das Video zu Michel Montecrossa’s ‘Sinus – I Like To Dance With My Broom’ – eine Mischung aus Cartoon und Realfilm, mit einem ersten Auftritt von Michel Montecrossa’s Zeichentrickfigur ‘Sinus’. and the things to come. The earth was born from the sun. It took a long time till oil was born. Oil and time for a future of hope. join the dance of the death-givin’ sisters. are you cryin’ for love? My child, are you lookin’ where life will go? a conscious expansion into union that lasts. for saving the planet, for giving new hope. of workin’ together for the best of all. From island to island beauty will grow. Our houses receive free sun-energy. Our garden is manifold unity. Sunray revolution is the action key. help the genius of a mind that sees. We know how to live together in peace. Creative we are with the power to feel. Sunray revolution for a future that’s real. Mirakali is a fantastic songwriter singing from her thrilling core of wisdom, power, love and beauty. Her rockin’ and soothin’ 21st Century songs go along with her abundant creativity as breathtaking cyberartist, moviemaker, poet and writer. Mirakali since 1992 is playing guitar and keyboard in Michel Montecrossa‘s band „The Chosen Few“ and his „Lightsound Orchestra“, with them she is on the road performing 40 to 60 concerts every year. Tribals & Poems‘, published by Mirapuri-Verlag is a magic collection of fascinating Tribal-Designs and Poems created by Mirakali. ‘Tribals & Poems‘ on 112 pages features 54 Tribal Images and 54 Poems leading to the shore of the mystic sea that reflects the soul’s mystery in a timeless moment. 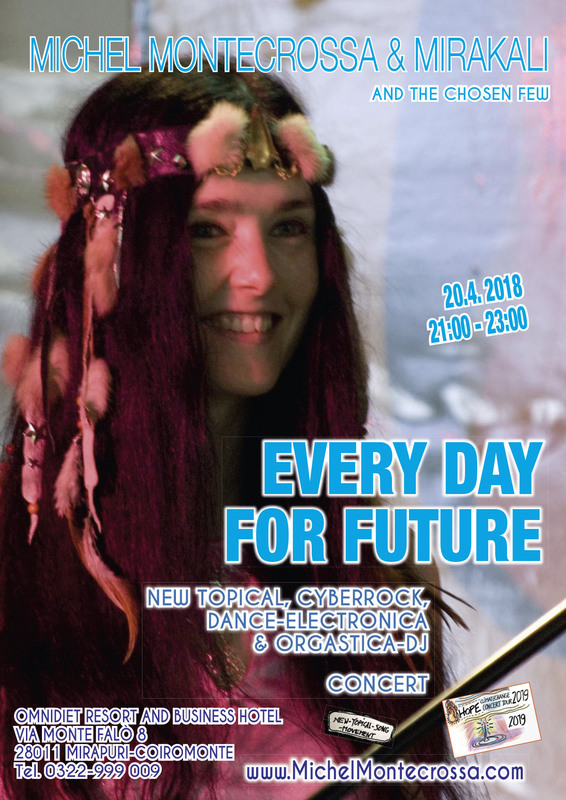 Mirakali is a futuristic cyberartist and cybermusician not only full of power but also rich with Fire, passion and tender love. Moon. In the mystic moonlight shines the enchanting face of the eternal woman. The moon is her guard, is the symbol that veils as much as it reveals. The feminine image like the moon mirrors the truth of light into the night of human chaos. Mirakali, master-photographer, poet and musician from Mirapuri presents ‘Moon‘ as a symphony of female images bringing the deep brain impact of their emotional and esthetic power to the front. of Michel Montecrossa and Mirakali. ‘MIRAPURI AND THE WORLD OF LOVE’ is a collection of essays, poems and song lyrics Mirakali has written for various festivals in Mirapuri – the City of Peace andFutureman in Europe, Italy: the Mirapuri World Peace Festival, the Spirit of Woodstock Festival and the Mirapuri World Literature Fest. ‘World Poems’ photographed and written by Mirakali, the great artist-musician from Mirapuri, makes us plunge deep into the enchanting and revealing poem of the world. ‘World Poems’ is the soulful chant and image-garland of the wonderful gifts the world presents to you every day by one of the 21st century’s most outstanding photographer-poet. Hier oben drüber findet ihr jede Menge Links & Mirakali’s Video ‘Dreaming World‘, Bücher sowie einige Beispiele für Malerei und Fotografie von Mirakali. Die deutsche Version des Buches ‘Der Kleine Stern’ hat inzwischen 2 weitere Teile (Der kleine Stern – Die Schatzsuche‘ und Der kleine Stern und das Indianermädchen). 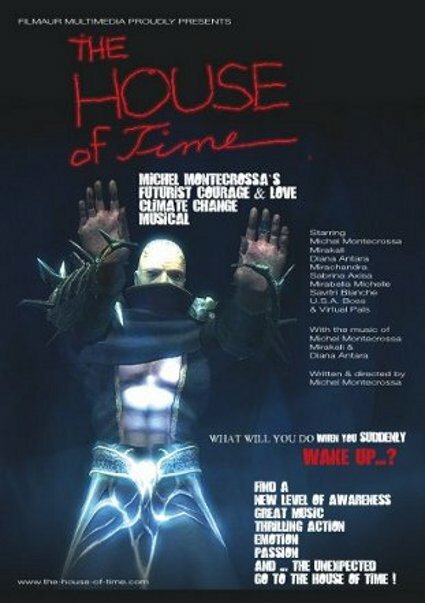 Michel Montecrossa and his band The Chosen few will play on 24.04.2010 the ‘Happy For You’ Climate Change Concert at the Omnidiet Music Hall. Konzert-News!!! Am 24.04.2010 wird Michel Montecrossa and his band The Chosen Few mit dem ‘Happy For You‘ Climate Change Concert in der Omnidiet Music Hall auftreten . Das Konzert wird von 22:00 – 24:00 Uhr gehen. 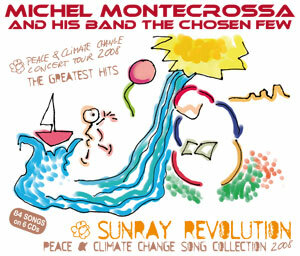 This entry was posted in Acoustic / Unplugged, Climate Change & Environment, Climate Song, Cyberrock, Dance, eco-musician, Electronica, Global Warming, Happy Future Climate Change Concert Tour 2010, Klimawandel Songs, Michel Montecrossa, Michel Montecrossa Art, Posts, Social Climate / Climate Change, Umwelt and tagged Climate Change, Concert, eco-songs, Global Warming, Lake Maggiore, Live-Music, Michel Montecrossa, Mirapuri, Omnidiet. Bookmark the permalink.